Go cheaper with "Dual Plan"
We provide the lowest rate for android phone rentals in Japan. use 7GB Internet access with no additional fees, anytime anywhere in Japan. You can also use Gmail, Google maps and GPS for sightseeing in Japan. All phones have 7GB internet access without ANY additional fees for data. We provide free domestic call. We recommend Telink for low rate international call. 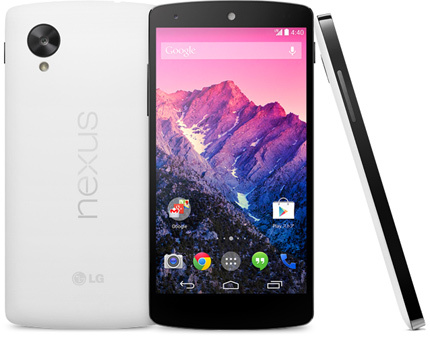 Easy to use: You don't need to worry about reading instruction manuals because of Nexus 5. 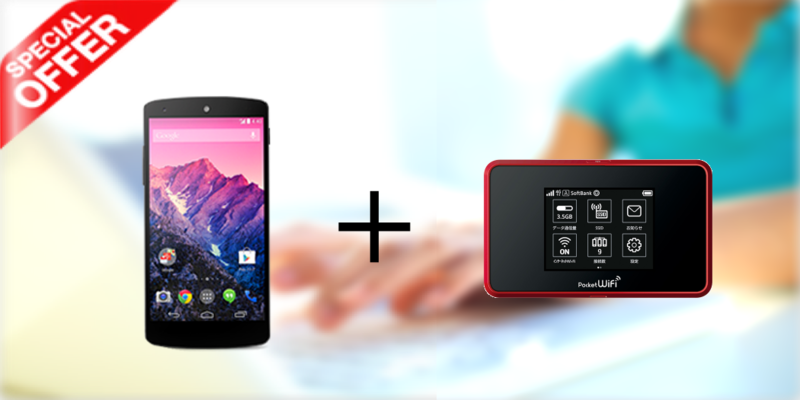 Nexus 5 GPS and Google maps help you get to your location. We accept credit card payments: VISA, MasterCard, JCB, Amex and Diners card. No deposit or hidden fees for Nexus 5 (Cell/ Mobile Phone) rental. Great for sightseeing in Japan (Tokyo, Osaka, or Kyoto etc.) and also convenient for business trips. *** Domestic call is free of charge with our service. However it doesn't cover calling to Telink access point although the access points are in Japan. The calling rate to Telink access point is 40 JPY/min. In case you call someone in USA, it takes 40 JPY/min to Telink access point and 1 JPY/min from the access point to USA. *** Please note that payment to Telink with a credit card is required for an international call and payment to Let's Internet Japan for a domestic call to a Telink access point is also required in case you make an international call. *** 3.1 JPY/message will be charged for sending domestic SMS. *** 100 JPY/message will be charged for sending international SMS. After data usage exceeds 7GB, speed will be throttled down to 128Kbps until the end of the month. Just drop it in any mailbox anywhere in Japan! When you rent something from us, you will receive the rental items and a prepaid return envelope. To return the device to us, please place all rental items into the prepaid return envelope, seal it, and then drop it in any mailbox. You will easily find mailboxes all around Japan, as well as in the airport before the security gates. You do not have to directly return the rental items to our office counter. If you have any questions, please contact us. Copyright © 2014 Let’s Internet jp Inc. All rights reserved. Let's Internet Japan is one of WiFi rental service brands of Global Advanced Communications.